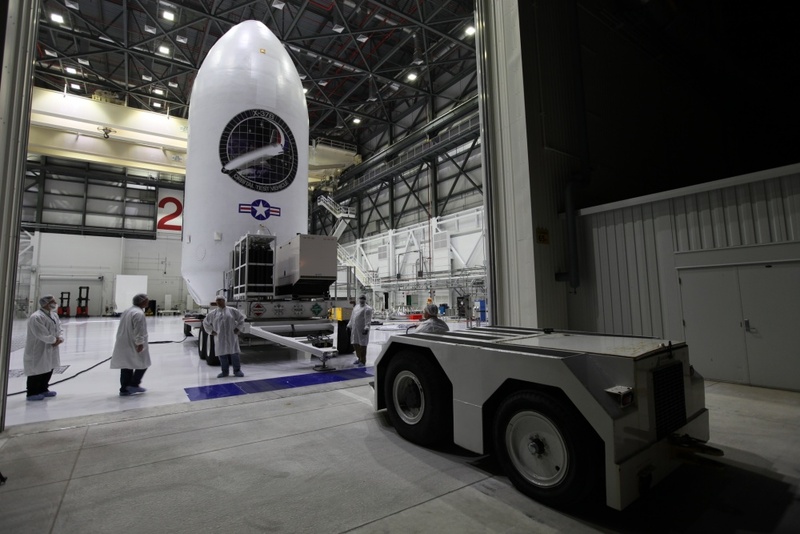 The miniature space shuttle, designed for robotic operations without a crew, will blast off Thursday on a SpaceX Falcon 9 rocket. 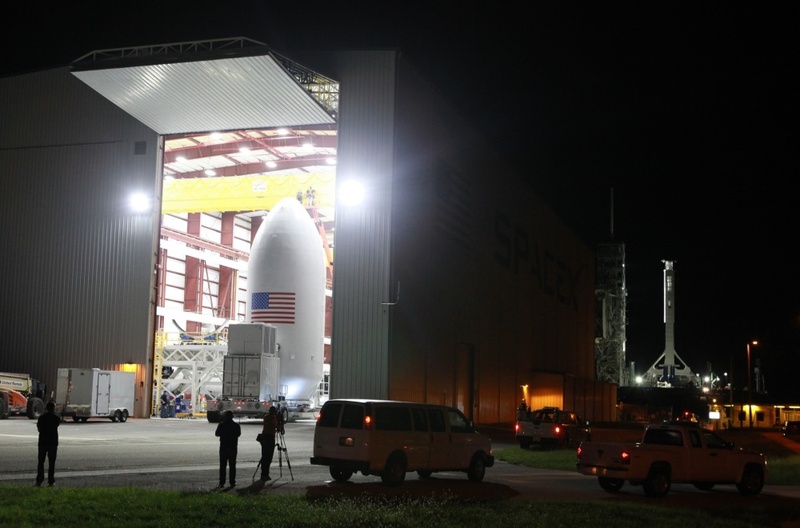 The primary launch window opens at 9:50 a.m. EDT (1350 GMT) and extends until 2:55 p.m. EDT (1855 GMT), according to SpaceX. 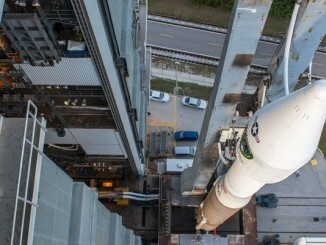 The exact launch time is still a secret and is expected to be revealed later today or early Thursday. 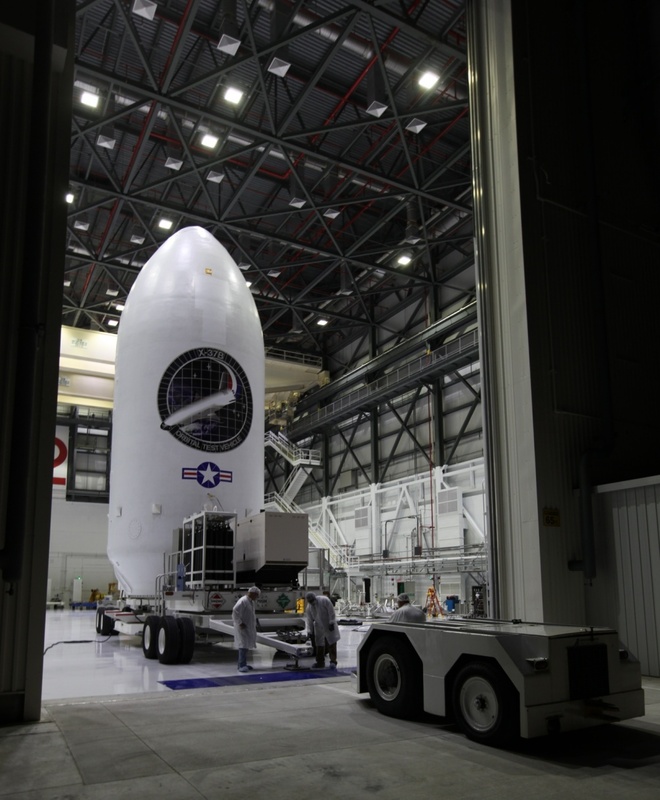 The upcoming launch will be the fifth flight by one of the Air Force’s two X-37B spaceplanes, and the target launch time on the last X-37B flight in May 2015 was not revealed until several hours before liftoff. 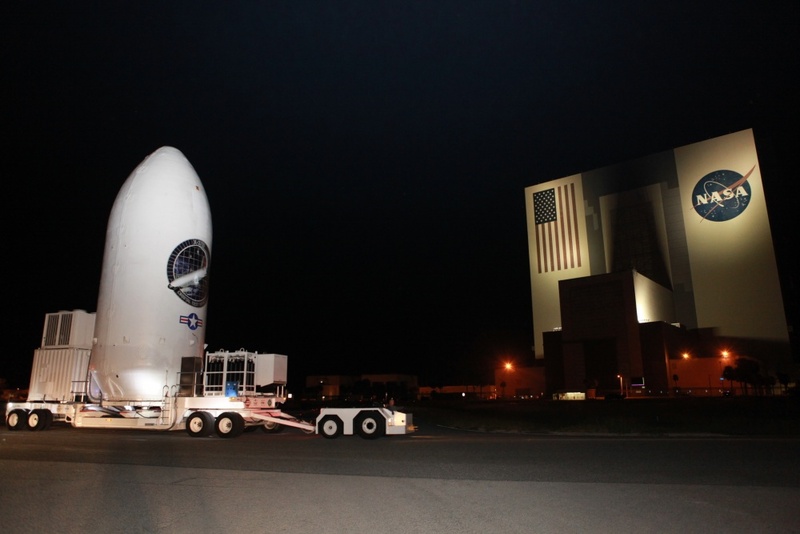 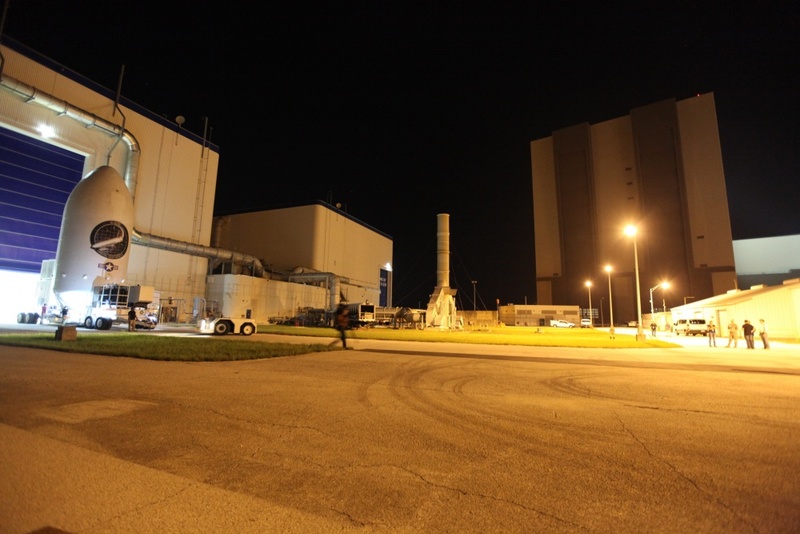 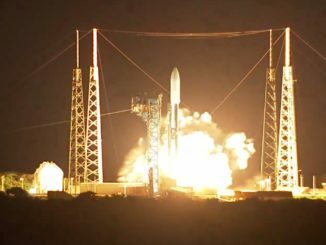 All four previous X-37B missions flew into orbit on United Launch Alliance Atlas 5 rockets. 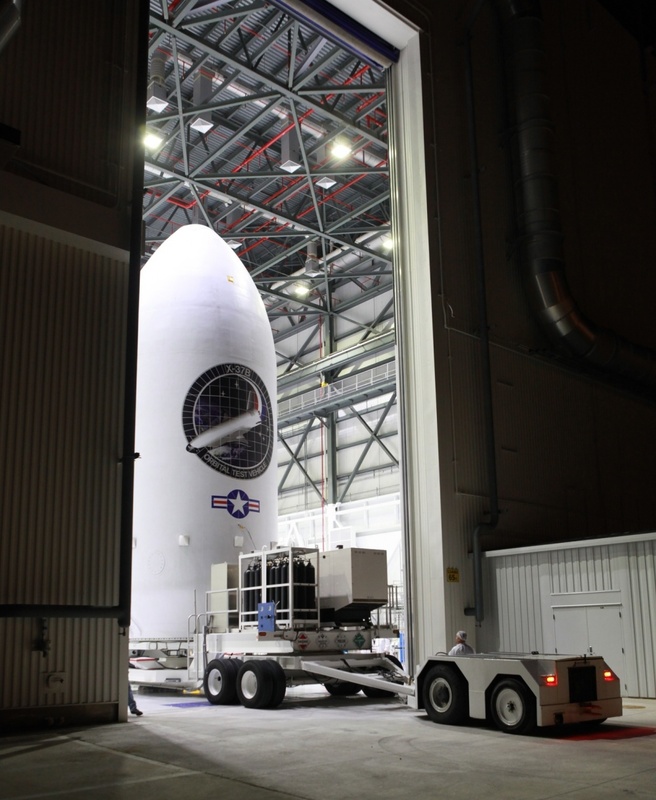 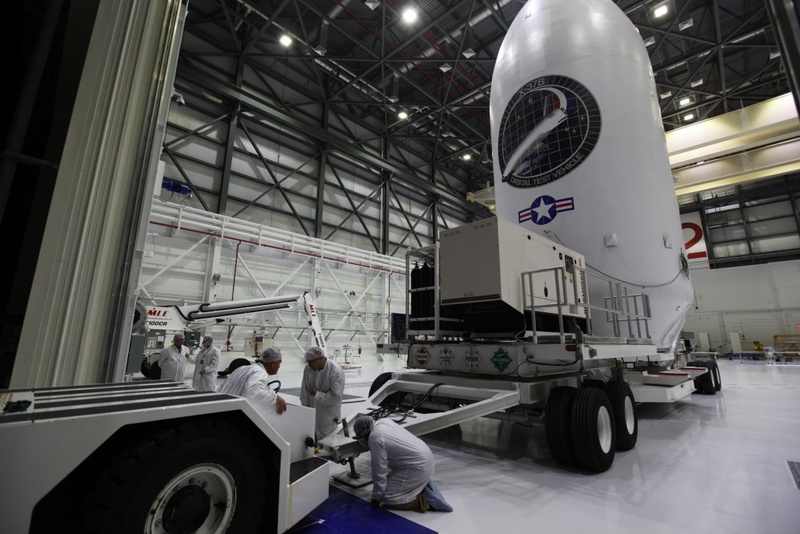 The Air Force has not disclosed which of its two Boeing-built mini-shuttles will launch Thursday. 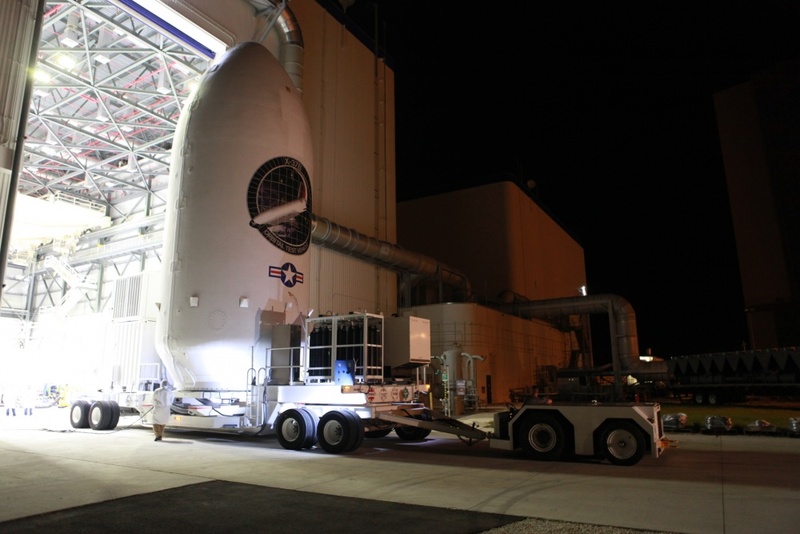 The photos below show the X-37B emerging from its hangar at NASA’s Kennedy Space Center, a repurposed processing facility that used to house the agency’s space shuttle orbiters between missions. 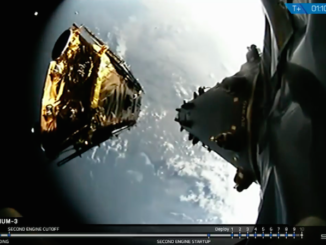 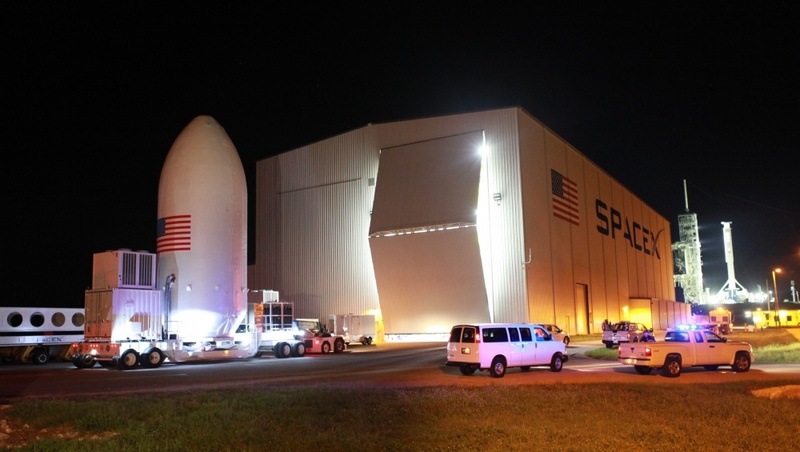 The ship was already encapsulated inside the Falcon 9’s payload shroud as it rolled by the Vehicle Assembly Building and down the three-mile road to pad 39A, where it entered SpaceX’s hangar for attachment to the Falcon 9 rocket.